Dreamers are among the guests. 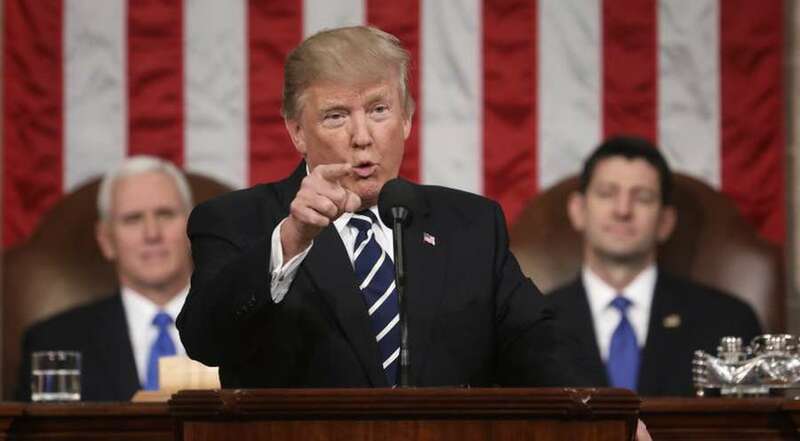 WASHINGTON – Dreamers, a Puerto Rican student displaced by Hurricane Maria, a medical marijuana advocate and the wife of a FBI agent who went missing in Iran are among the guests Florida lawmakers are bringing to President Donald Trump's first State of the Union address on Tuesday. Sen. Bill Nelson: Grace Nelson, his wife. Descriptions below were provided by the congressional offices. Rep. Charlie Crist, D-St. Petersburg: Dani Hall, a medical marijuana advocate from Clearwater. Her story highlights the negative impact that cracking down on medical marijuana, as proposed by the U.S. Attorney General, would have on families in Florida and other states that allow medical marijuana. Rep. Carlos Curbelo, R-Miami: Adrian Escarate, a South Florida DACA recipient who was born in Santiago, Chile, and was brought to the United States when he was 3 years old. Initially, his parents had only intended to live in Miami for five years, but after assimiliating, South Florida became their permanent home. Rep. Kathy Castor, D-Tampa: Brenda Irizarry took immediate action to mobilize relief efforts after Hurricane Maria hit Puerto Rico, helping lead an effort that has so far collected and transported some 2.5-3 million pounds of supplies to Puerto Rico." Rep. Darren Soto, D-Orlando: Claudia Sofía Báez Solá was a student at the University of Puerto Rico until Hurricane Maria made landfall and now continues her education at Valencia College in Orlando, FL while coordinating efforts to help students facing similar challenges." Rep. Al Lawson, D-Tallahassee: Paul Tutwiler, executive director of Northwest Jacksonville Community Development Corporation, The NJCDC offers services to 25,000 Jacksonville residents, many residing in Eastside, Durkeeville, Moncrife and Ribault Scenic neighborhoods. These communities were drastically damaged during Hurricane Irma. Rep. Lois Frankel, D-West Palm Beach: Laura Germino, co-founder of the Coalition of Immokalee Workers. In her role, Ms. Germino was instrumental in establishing CIW's revolutionary Fair Food Program, which is nationally recognized as a success story in eliminating sexual harassment and increasing wages for tomato farmworkers. Rep. Ted Deutch, D-Boca Raton: Christine Levinson, the wife of Bob Levinson, a constituent from Coral Springs who has been missing in Iran for nearly 11 years, making him the longest held hostage in American history. Rep. Debbie Wasserman Schultz, D-Weston: Nicholas Perez, a Broward County businessman and DACA recipient who is urging Congress to pass a clean DREAM Act. Rep. Frederica Wilson, D-Miami: Boycott. Note: We'll update this as Florida members announce their guests.